With public service spanning decades, Dennis Lee brings an extensive background in legal policy and legislative matters to the firm. He represents clients in the areas of legislative lobbying, regulatory guidance and procurement-related matters at the state and local levels. His extended tenure in state government working as director of corporations and chief deputy secretary for the Indiana Secretary of State's Office and as chief of staff under three former attorneys general has made Dennis an effective advocate in pursuing clients' interests at the state level and in various municipal administrations. His experience includes active participation in state and local coalitions and organizations, such as the National Association of Attorneys General, Conference of Western Attorneys General (CWAG) and the National Governors Association (NGA), as well as labor organizations. 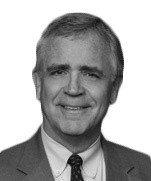 A graduate of Indiana University and the University of Toledo College of Law, Dennis worked in private practice in Indianapolis before entering public service.